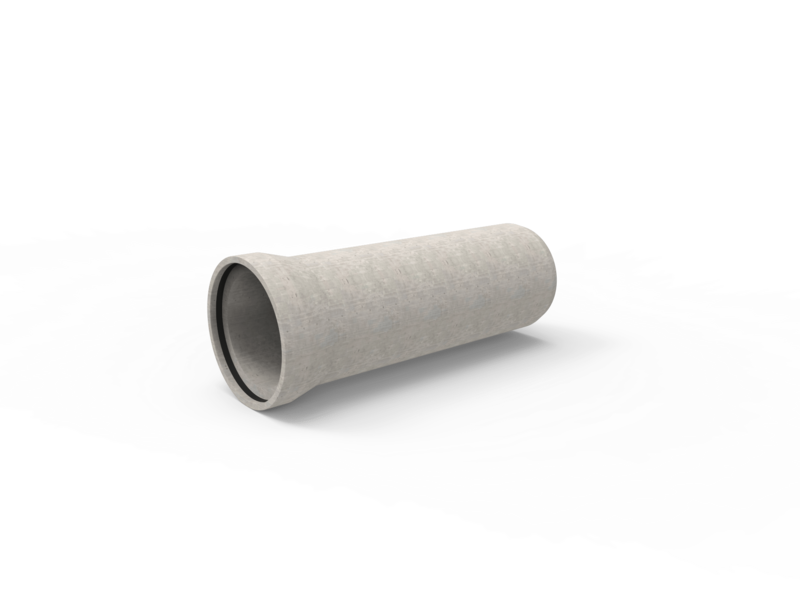 We have worked closely with a number of the leading concrete pipe manufacturers to develop a wide range of sealing systems for concrete pipes (including jacking pipes), box culverts and inspection chambers. Our range of anchored seals are incorporated into the joint area during the pipe casting process so becomes part of the pipe socket. Available in sizes ranging from DN300, the conical profile of the seal combined with the chamfered socket and spigot provides a centring function resulting in faster installation. Our range of Anchored seals meet the requirements of all relevant European standards. Test reports are available from VIP-Polymers on request. 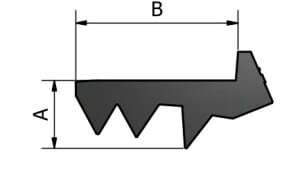 Tolerances as per: ISO 3302-1:2014 specifies classes of dimensional tolerances and their values for moulded, extruded, and calendared solid rubber products. 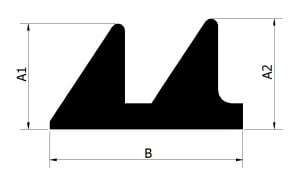 PLEASE NOTE: The above dimensions are for guidance only and we have the capability to modify all dimensions to suit different socket and spigot configurations. 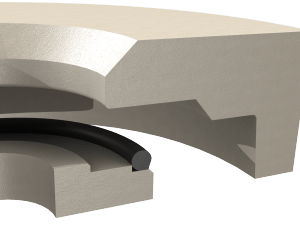 Effective under both internal and external pressure conditions, our range of single and double fin sliding seals are available in diameters ranging from DN300. 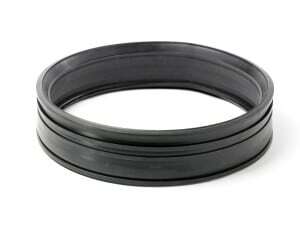 Compression of the seal occurs when the spigot is inserted to the socket creating a positive seal. 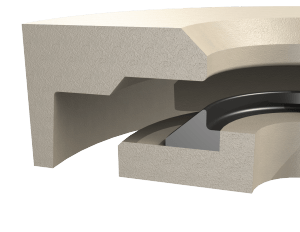 As well as excellent distribution of traverse shear loads, this design of seal also offers the benefit of low assembly force leading to easier and faster installations. 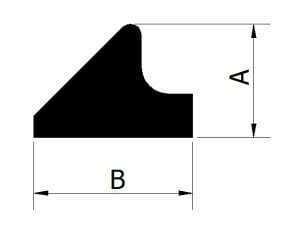 Our range of sliding seals meet the requirements of all relevant European standards. Test reports are available from VIP-Polymers on request. 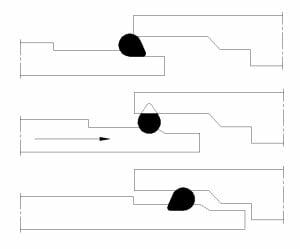 When the Peak ring is fitted to the pipe, the "flat" surface makes positioning much easier, avoids twisting and any inclination to roll backwards or forwards. 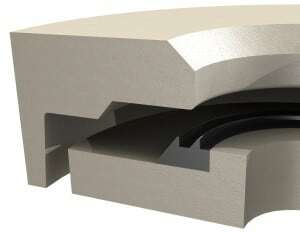 When the spigot is connected to the socket, the seal intentionally rolls and creates a broad contact area enabling an excellent joint to be formed. 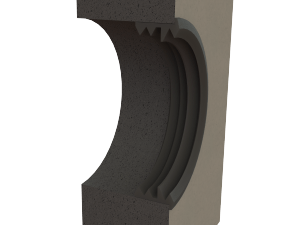 VIP's peak rings are designed specially for use on concrete pipes and have been developed with many years of experience of sealing technology in pipeline applications. 1. Clean socket and spigot. 2. Apply VIP UNIVERSAL PIPE LUBRICANT to the socket area liberally in particular to the chamfered leading edge. VIP UNIVERSAL PIPE LUBRICANT is non-toxic, bio degradable and has no adverse effects on the rubber seal. 3. Centre the ends of the pipe end push the socket into the spigot in accordance with the pipe manufacturer’s instructions. 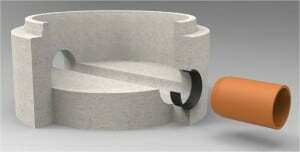 Apply VIP UNIVERSAL PIPE LUBRICANT to the spigot area liberally in particular to the chamfered leading edge. 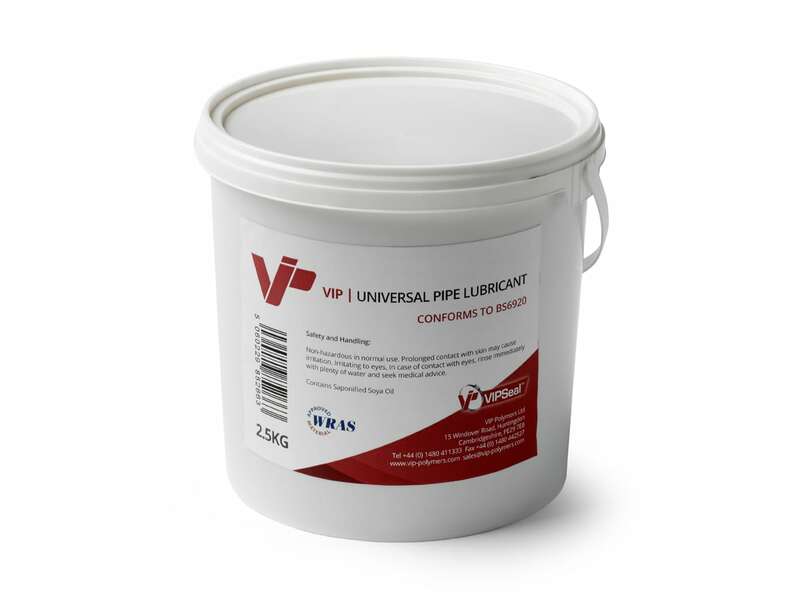 VIP UNIVERSAL PIPE LUBRICANT is non-toxic, bio degradable and has no adverse effects on the rubber seal. Centre the ends of the pipe end push the socket into the spigot in accordance with the pipe manufacturer’s instructions. 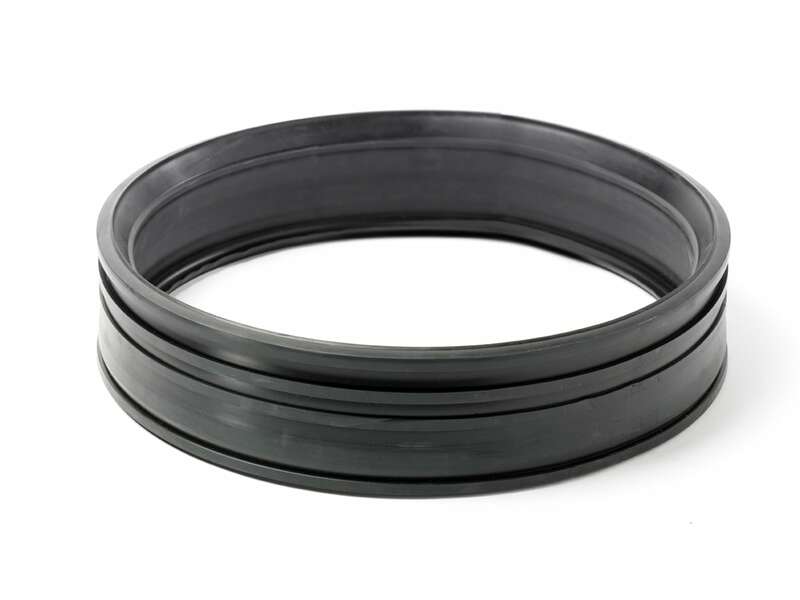 We manufacture a large range of chamber seals from DN50 upwards. As well as our standard range, we have a multitude of other cross sections available from which we can manufacture virtually any diameter. Further info available on request.